As spawning season arrives, the Capelin blanket the beach at Admiral's Point in Trinity Bay in Newfoundland with their silvery coloring glistening in the sun's rays. 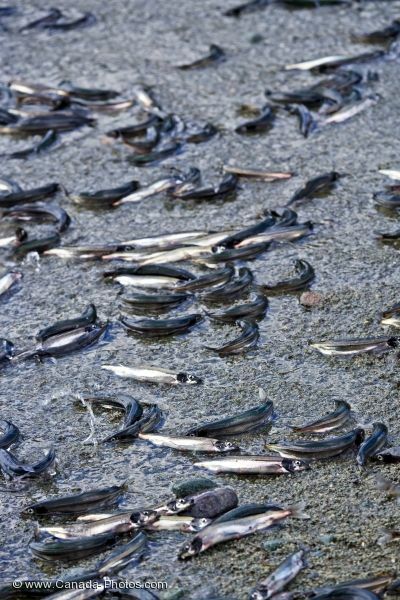 Millions of Capelin come ashore in June and July for spawning which also brings out many other animals that use these fish as a food source. Picture of thousands of spawning Capelin on the beach in Trinity Bay in Newfoundland.